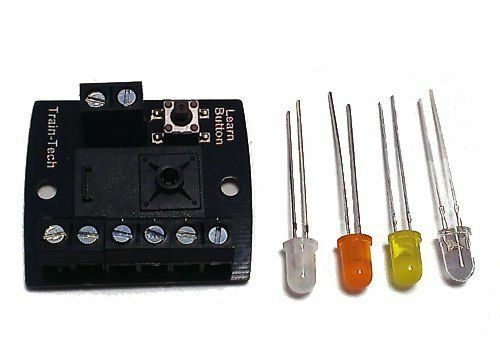 TrainTech TT-LFX2 This lighting effect module offers an easy way to add interesting lighting effects to your layout, can all be controlled by a standard 12V DC supply or DCC controller. Easily connects using the screw terminals fitted - you wire the LEDS directly & no need for any extra resistors etc. One-Touch on DCC sets it up in seconds. Simple 2 wire connection to DCC or a standard 12V DC accessory output. Please note: All of this module only work with LEDs, not filament bulbs. Click Here to see a video of this module in action.